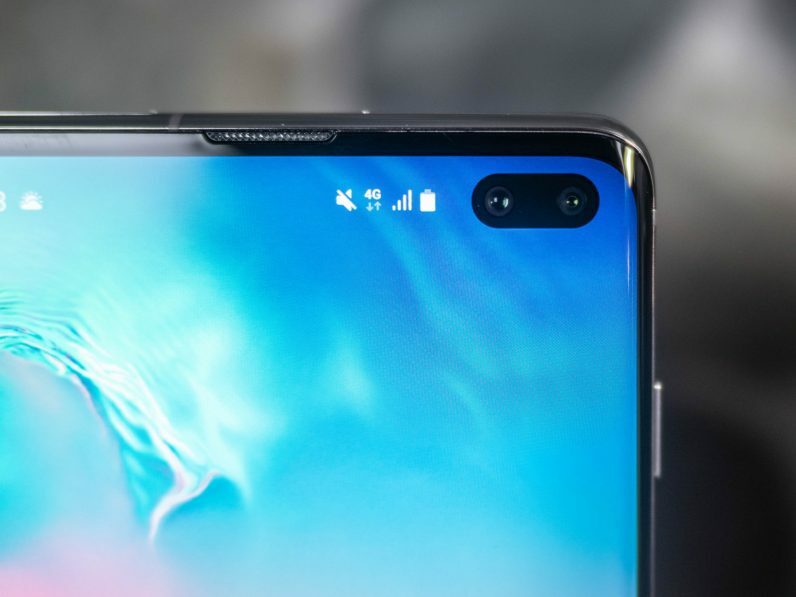 The latest Samsung Galaxy flagship phone uses an in-screen camera (weirdly, there isn’t a single universally accepted term, as it’s often referred to as a “punch-hole camera” or “cutout camera”) instead of a notch. And it goes without saying that the Internet has had a lot of fun with it, creating wallpapers that use the phone’s punch-hole camera as an ingenious visual element. One wallpaper turns the solitary front-facing camera lens on the S10 and S10e as the Death Star’s menacing concave laser. Another repurposes the dual-camera setup on the S10+ into a pair of binoculars for chubby North Korean despot Kim Jong Un. But it’s not all fun and games. Someone has figured out how to use the Galaxy’s punchole camera as an unassuming battery display. Energy Ring, from prolific Android developer IJP, wraps a battery monitor around the camera hole. You can get an idea for how it works in the image below. The app, which works across all phones in the Galaxy S10 family, is fully customizable. In addition to controlling the color and design of the battery monitor, users can also control how it works. You can, for example, choose to have your battery monitor going clockwise, anticlockwise, and bidirectional. Depending on your perspective, the punch-hole front-facing camera on the Samsung Galaxy S10 (and its brethren) is either a stroke of pure technological genius, or an unsightly visual carbuncle on what is otherwise an amazing phone. Either way, it doesn’t especially matter. It’s amazing to see how designers and developers are creatively adapting around this completely new smartphone design, in order to create something that’s either visually pleasing or serves a practical purpose. Sadly, Energy Ring is only available for phones in the Galaxy S10 family. That’s a shame, as punchole cameras are increasingly popular. The feature is present on Honor’s most recent flagship device, the View20, and will appear on the Nokia X71 (which will likely be marketed as the Nokia 8.1 Plus in Europe and the United States). If you’re tempted, you can pick up a copy of Energy Ring from the Google Play Store. The basic functionality is free, but if you want to unlock more advanced features, get ready to make some in-app purchases.